As cloud adoption continues to accelerate, many organizations have found they need an ever-expanding fleet of mobile devices so that employees can work wherever and whenever they need. And research shows that when employees can work from anywhere, they can do more. According to Forbes, employee mobility leads to 30 percent better processes and 23 percent more productivity. But as the demand for mobility grows, many organizations have also found themselves challenged by the need to provide secure mobile endpoints with access to certain legacy line-of-business or Windows apps. To help, last year we announced our partnership with Citrix to bring XenApp and XenDesktop to Chrome Enterprise. Since bringing XenApp and XenDesktop to Chrome Enterprise, we’ve worked extensively with Citrix to help more businesses embrace the cloud. 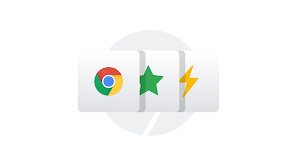 Last month, we announced that admins can now manage Chromebooks through several popular enterprise mobility management (EMM) tools, including Citrix XenMobile. And this year at HIMSS we showed how the combination of Citrix and HealthCast on Chrome Enterprise helps healthcare workers access electronic health records and virtualized apps securely on Chrome OS using their proximity badge. All of this is the topic of an IDG webinar we’re co-sponsoring with Citrix. The webinar “Chrome OS & Citrix: Simplify endpoint management and VDI strategy” includes IDG CSO SVP/Publisher Bob Bragdon, Chrome Enterprise Group Product Manager Eve Phillips, and Citrix Chief Security Strategist Kurt Roemer as speakers, and addresses how Citrix and Chrome enable access to mission-critical business apps and create a productive workforce inside or outside corporate infrastructure. How Chrome and Citrix can ensure secure access to critical enterprise apps. How employees can be more productive through access to legacy apps in VDI. How Citrix XenApp (XA) and XenDesktop (XD) integrate with Chrome OS. 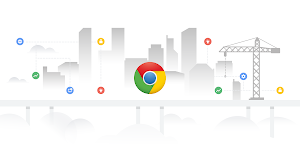 How Citrix’s upcoming product launches and enhancements with Chrome, GCP and G Suite can help enterprise IT teams and end users. In March, Citrix’s Todd Terbeek shared his experiences transitioning to Chrome Enterprise, and this week Chief Security Strategist Kurt Roemer discussed how combining Citrix with Chrome can deliver expanded value across security, privacy and compliance. Our work with Citrix continues to evolve, and we’re looking forward to finding new ways to collaborate in the future. To learn more, sign up for the webinar.